THE PICKIEST EATER IN THE WORLD: MEET THE ROBO CHEF AT RED ONION! MEET THE ROBO CHEF AT RED ONION! Chinese Food, how do I love thee? Let me count the ways.. Hehe.. Sorry but Chinese food and I go a long way back. The very first restaurant I ever remember going to was a place in Los Angeles called "Ho Ho's" when I was 5 years old. Even at a young age, I was enthralled by the wonderful mixtures of sweet, salty and sour, all in one bite. The place is probably no longer in open, but the lasting impact it had on my palate has remained, and in fact, is stronger than ever. I heard about a Chinese restaurant opening in U.P. Town Center, that features a Robo-Chef that slices their noodles for them, and I was immediately intrigued. 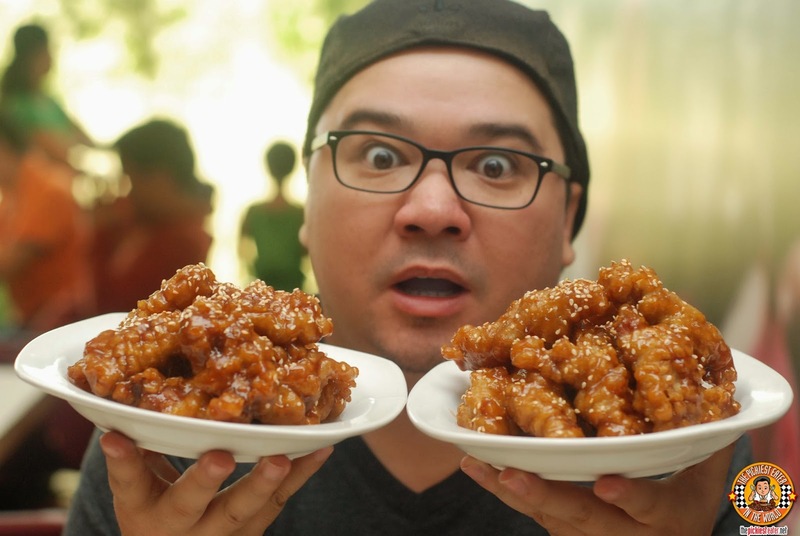 Though their claim to fame is obviously their noodle dishes, there was something in their menu that caught my eye, and I couldn't stop dreaming of it..
What you see above is me holding two plates of "Double Fried Sweet and Sour Pork" from Red Onion. Red Onion is a cozy little spot at the Ground Floor of U.P. Town Center. 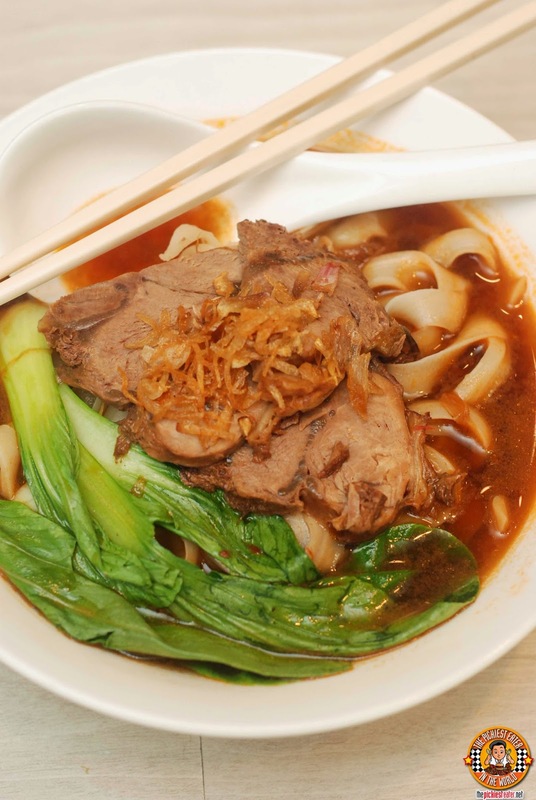 Despite the fact that the area is surrounded by other, more high profile restaurants, it has gathered a loyal following, especially with it's affordable set meals and unlimited noodle promos! 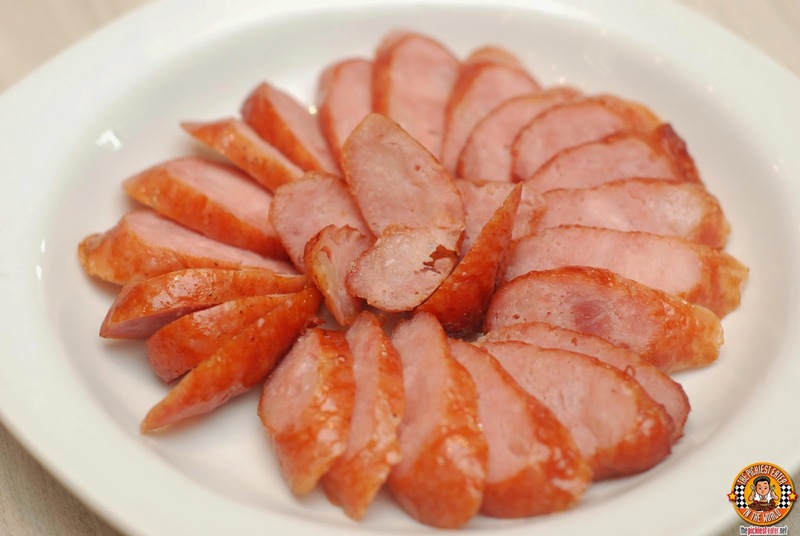 We kicked things off with the Taiwanese Sausage (P148). This was awesome. The meat had a subtle sweet flavor, and despite no visible traces of fat, it was remarkably juicy. 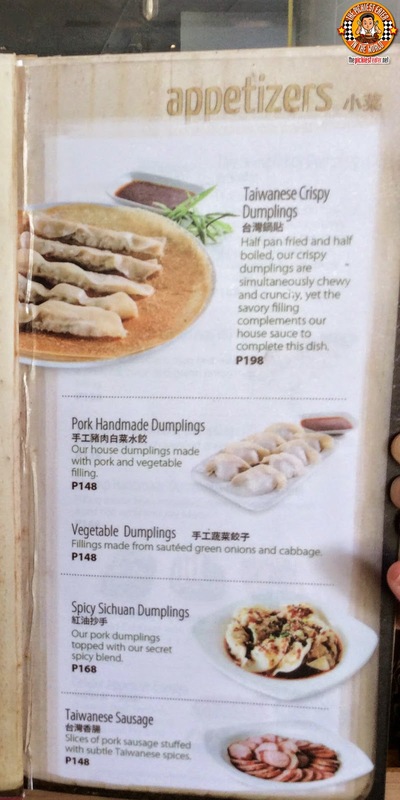 Next, we were introduced to the Taiwanese Crispy Dumplings (P198), which would become yet another dish that I would find myself addicted to. At first glance, it looked like a paper thin pancake with four "humps" in the center. 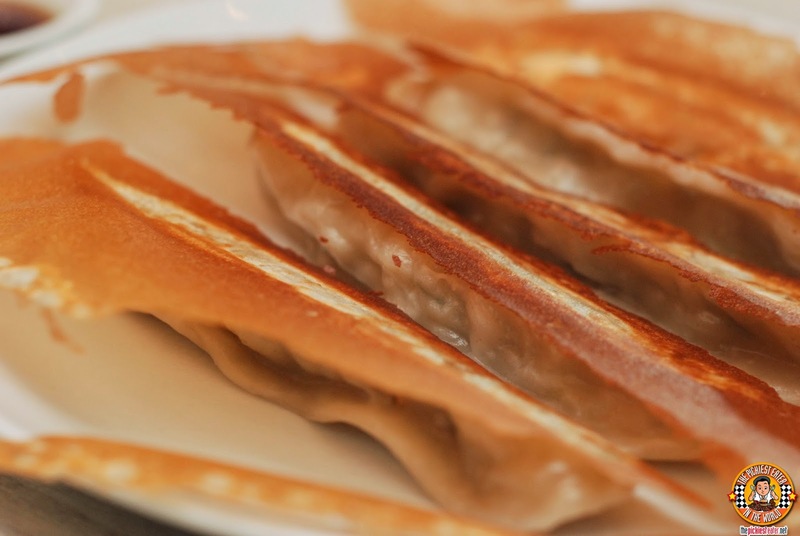 A closer look reveals that those lumps were actually the dumplings, hidden behind a crisp layer of a thin, almost pancake-like batter. The technique involved in this was quite impressive, because it requires taking boiled meat dumplings, and then pan frying it, without it becoming overly greasy. 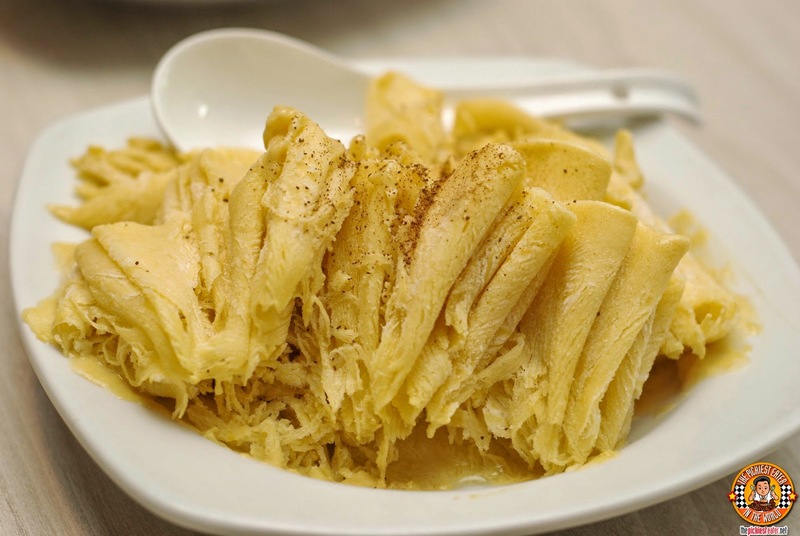 The crisp layer has a tinge of sweetness to it that pairs well with the meat, even when you dip it into a bit of soy sauce. 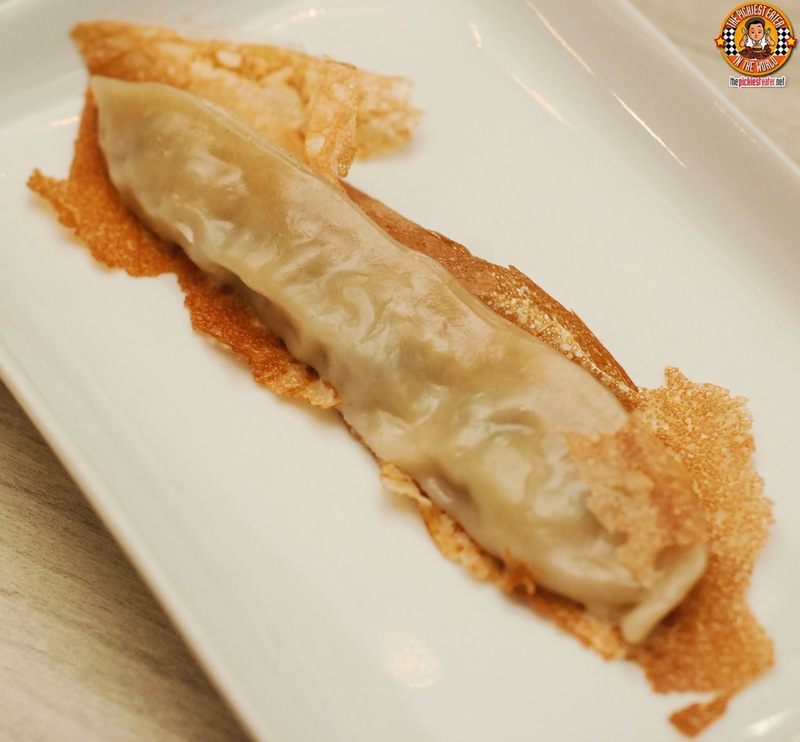 The lightness of the batter ensures that the dumplings itself doesn't get you too full.. making it an ideal dish to order for your starters (Unless you eat six of them.. like what I did). 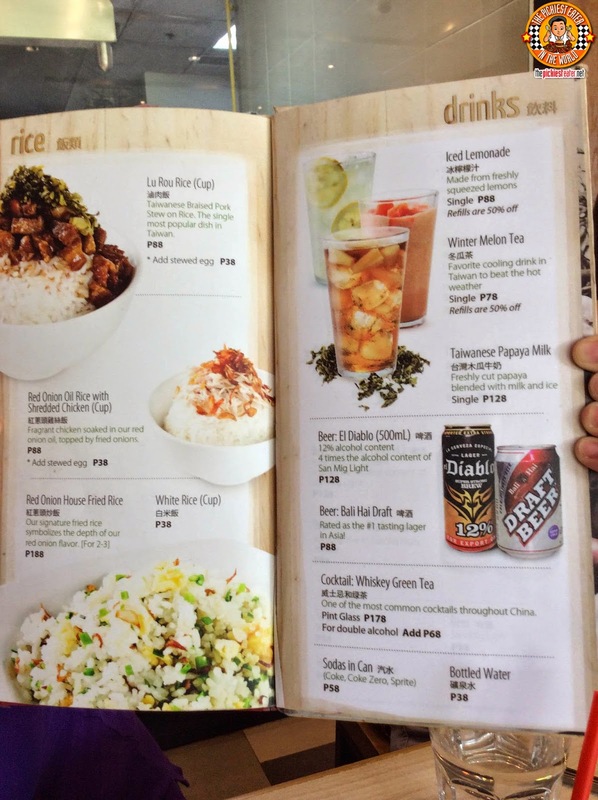 Next, we tried -err.. correction.. Next, THEY tried the Polonchay (P168). 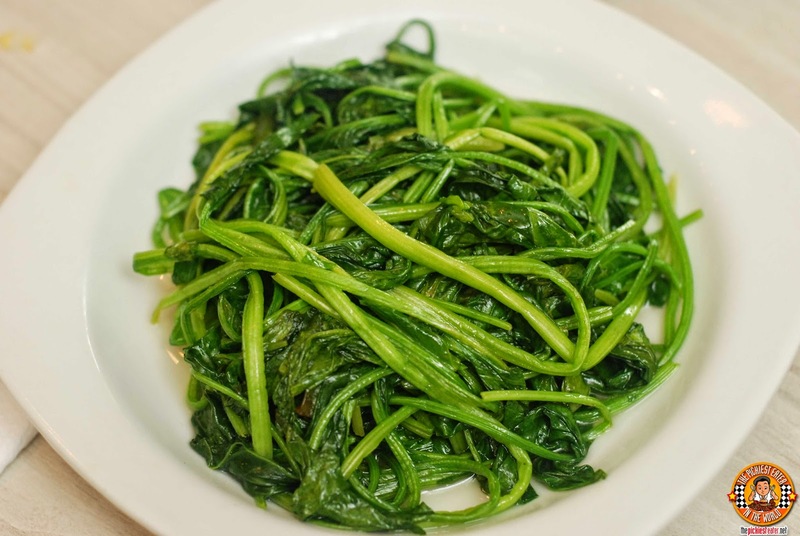 It was simple, stir fried Chinese Spinach that my companions lauded for its flavor in spite of its simplicity. 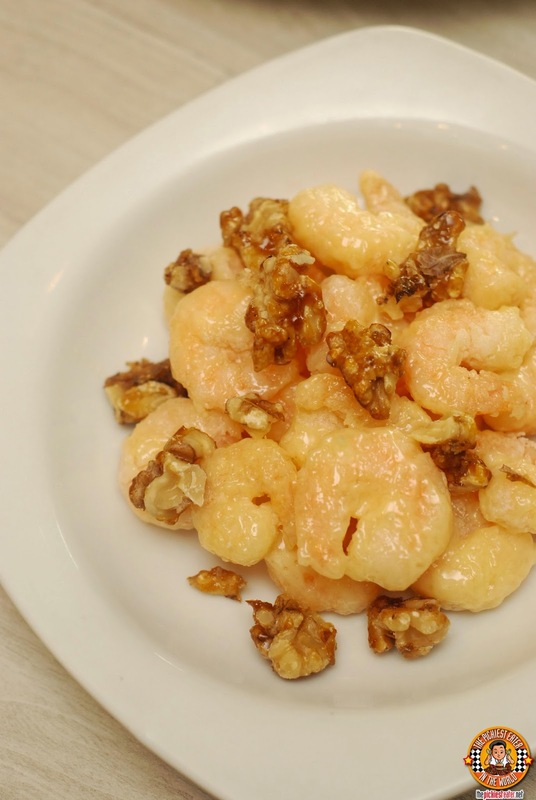 Rina went nuts over the Walnut Shrimp (P388) (No pun intended). It was plump shrimps brushed in a sweet glaze, and speckled with toasted candied walnuts around it. Each bite offered a unique crunch to the shrimps, leaving her in a state of bliss until the last shrimp was devoured. 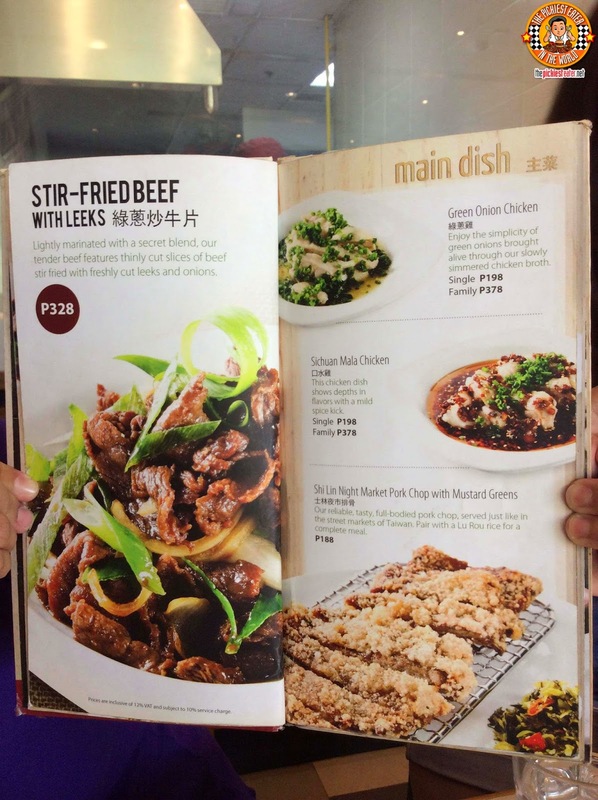 Next, our hosts brought out the Green Onion Chicken (Single P198 / Family P378). I'm a fan of Hainanese Chicken and this was a little bit similar to that. 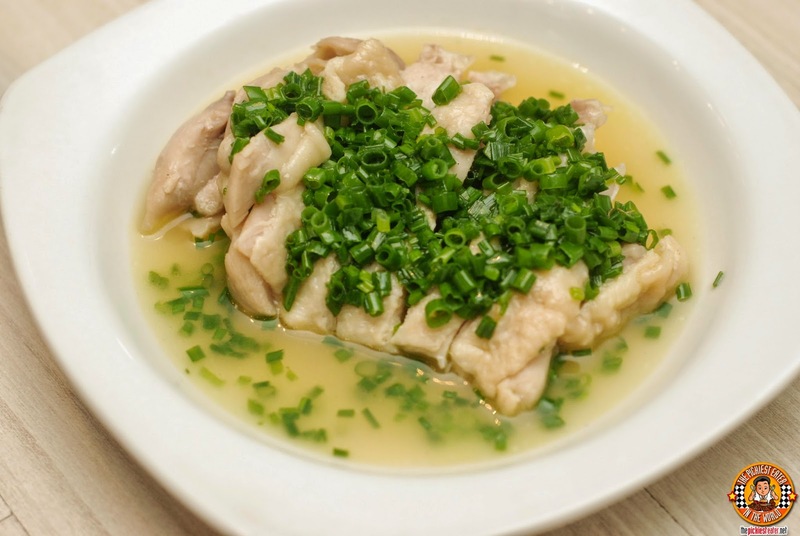 It was cuts of boiled chicken, swimming in a light sauce, and topped with green onions for added zing. 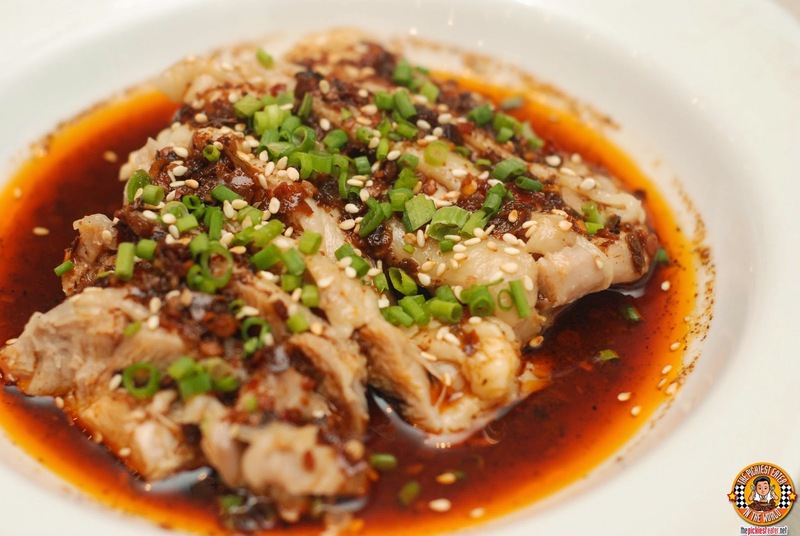 The Green Onion Chicken's Evil Twin Brother would have to be the Sichuan Mala Chicken (Single P198 / Family P"378). Be very careful when ordering this because the level of heat can go from "Mild" which is still quite considerable, to near Satanic proportions. But here's the thing.. It tastes amazing. I can't really handle too much spiciness in my food, but I was willing to scorch my taste buds for this pillowy soft chicken dish. 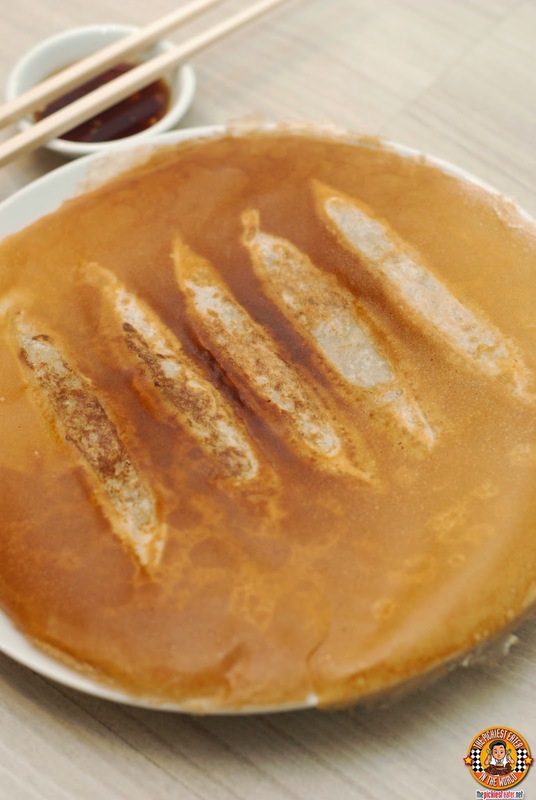 It's the type of dish where the sauce can be eaten with rice, and it instantly becomes a meal in itself. 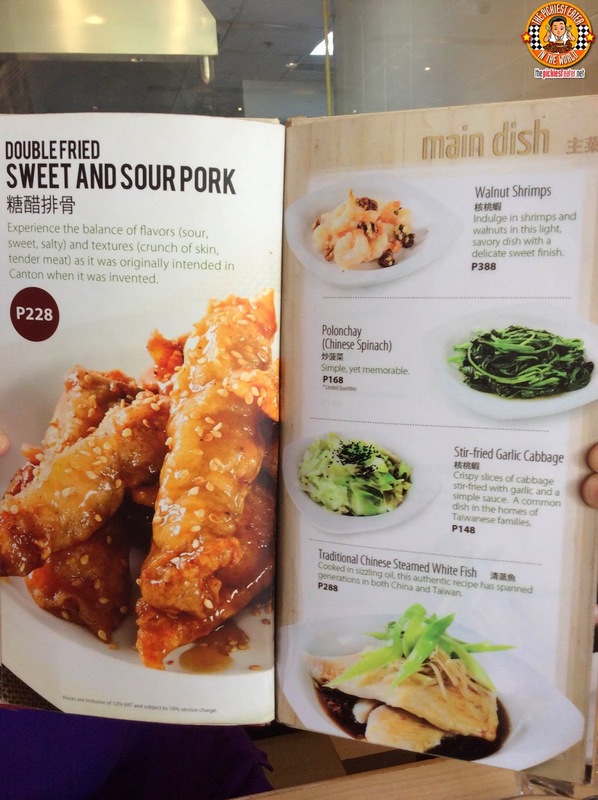 The Double Fried Sweet and Sour Pork (P228) is a dish that seems like it was made specifically for me. You know how other Sweet & Sour dishes often have stuff like bell peppers, pineapples and onions, that often get left on the plate when all the meat is gone? Red Onion's version has none of that stuff. 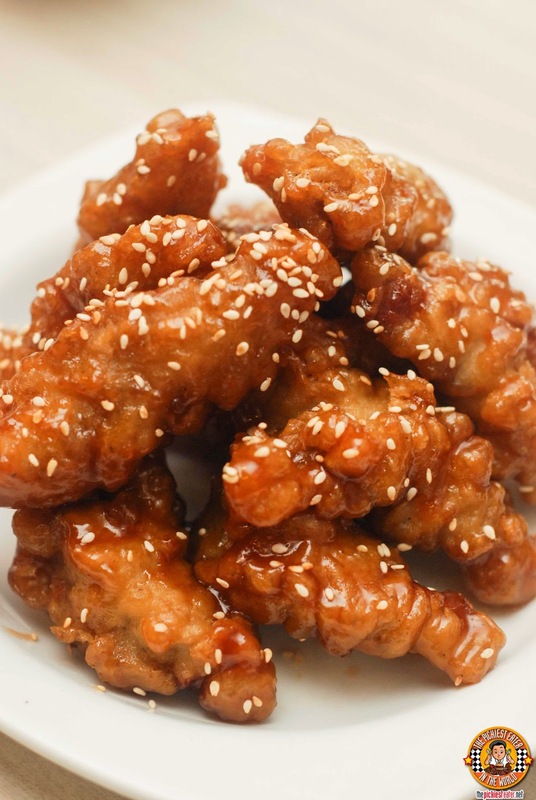 The flavor isn't reliant on a heavy sauce, but instead on the sweet and sour glaze that has completely coated the crispy cuts of pork. And when I say Crispy, I mean a whole new level of crispiness altogether. I really loved this! 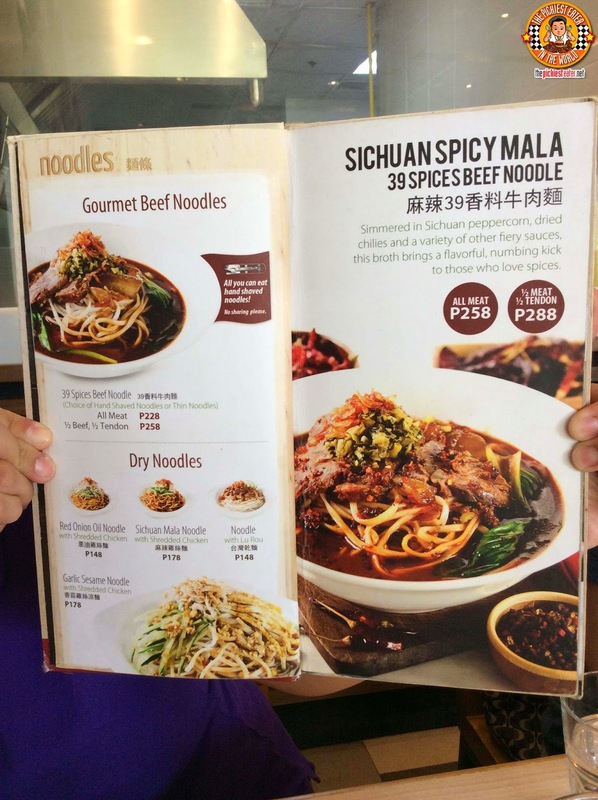 No meal at Red Onion is complete without sampling their noodle dishes, and so I was eager to dig into the 39 Spice Beef Noodle (P258). 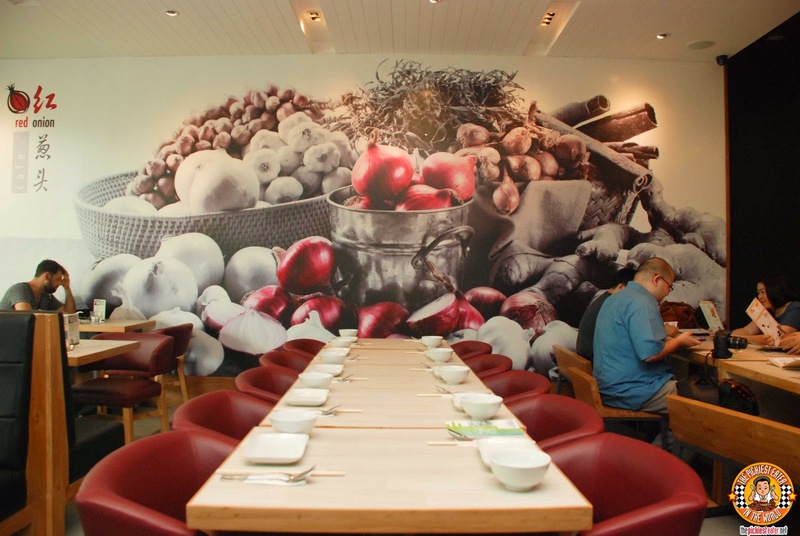 The excellence of this begins with the broth itself, which has an abundance of flavor brewed into it. The Noodles were cooked to a beautiful Al Dente, and were firm to the bite. Ask about their Unlimited Noodle Promo! The Red Onion House Fried Rice (P188) is a great companion to your meal. 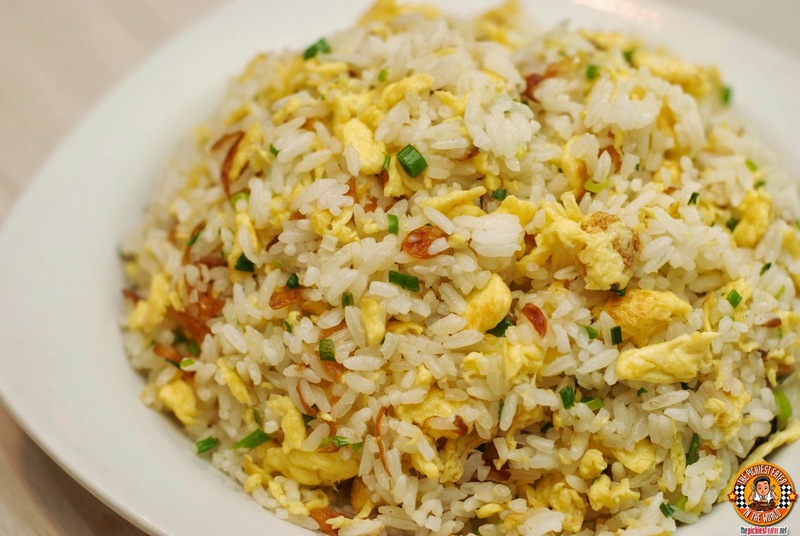 Tasty bits of minced meat mixed in with scrambed egg and thrown into a deliciously flavorful fried rice! Rina really really loved the "Spiced and Iced" Coffee Latte (P128). She loves coffee and this was a very interesting twist that she has been yearning for ever since we left Red Onion. The freshly roasted expresso was turned into ice cubes. So the strong coffee taste is subtle but becomes stronger as the coffee ice melts and marries with their special refreshing "spiced" milk. The mixture of the flavors is just spectacular! 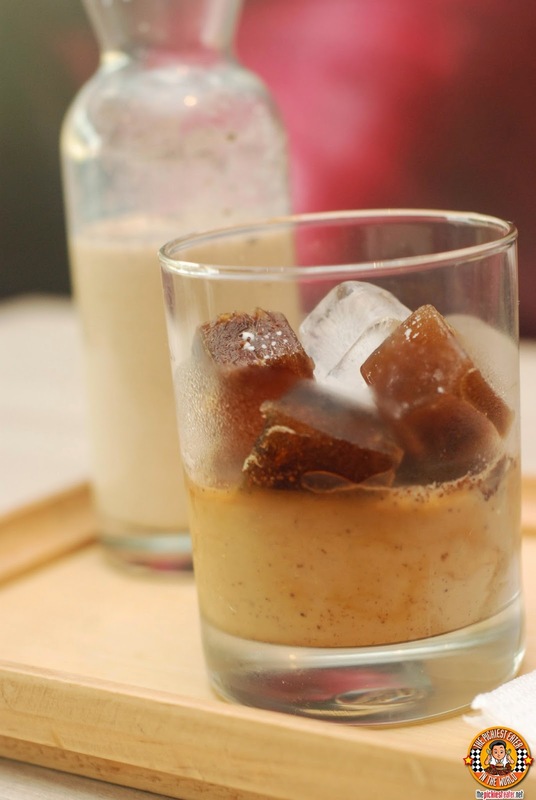 A perfect coffee drink for a hot day! The nice presentation (milk flask and a glass of coffee ice on a wooden board) adds another plus under the uniqueness category. This means you pour the milk on your glass at your own pace. This is probably good for 2 but Rina can gladly finish it on her own. The Taiwanese Snow Ice (P138) is also a great way to beat the summer heat. Flavors are seasonal. We had the red bean shaved ice which was good. Not too sweet. Really refreshing! And finally. 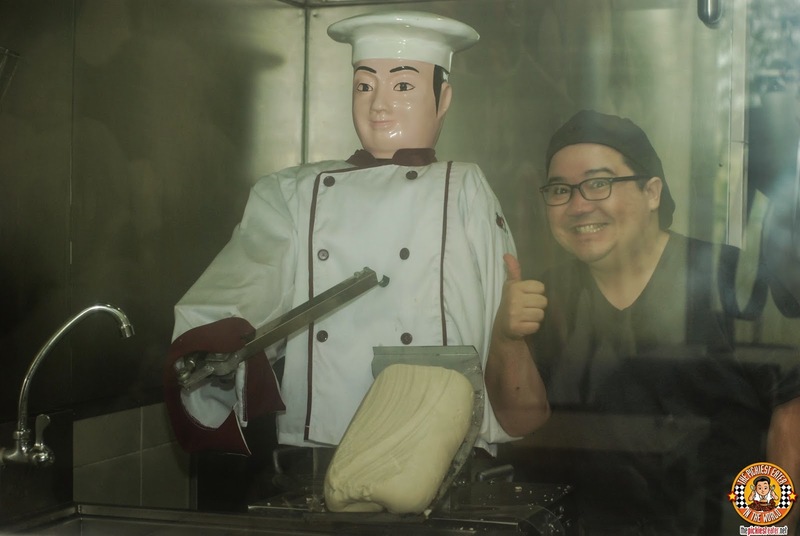 I got to see Robo Chef in action, as he took a hunk of flour and sliced it into what would later become our delicious noodles! 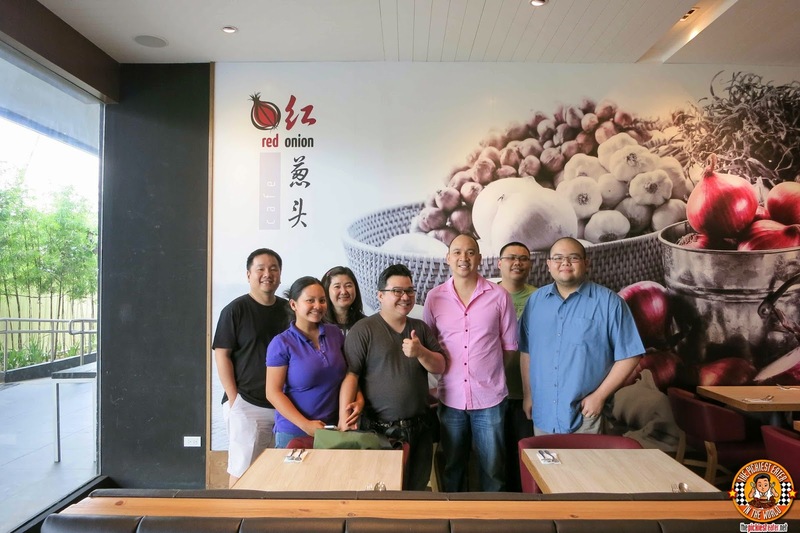 If you're like me, and you're a huge fan of Chinese food, Red Onion is a restaurant you must definitely add on your list of places to try! Much thanks to our hosts, Mark and Wen-Szu for a wonderful meal! Rina and I will be back very soon! The pleasure was mine, buddy! See you again soon! Love love love love their Sweet and Sour Pork too! I would love to try that Coffee Latte though, I think it is not on the menu yet the last time I visited. HAIL TO THE KING CHEF, BABY! KFC + CLOVER CHIPS = KFC CRISPY CHEESE CHICKEN! OLE! IT'S TGI FRIDAY'S TEX-MEX MENU! VILLAGE TAVERN'S CHAR-GRILLED WAGYU BURGERS!